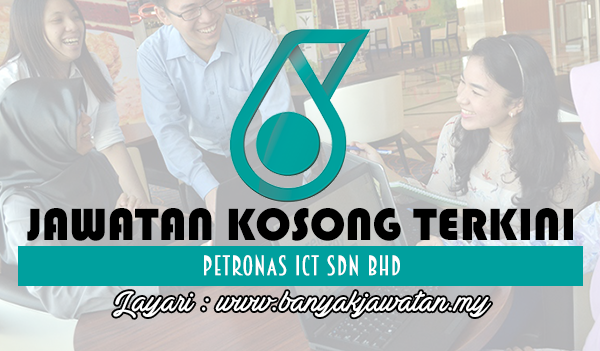 PETRONAS ICT Sdn Bhd is a wholly owned subsidiary of Petroliam Nasional Berhad (PETRONAS), Malaysia’s fully integrated petroleum company. We are the digital technology enabler that supports PETRONAS to be a leading oil & gas multinational of choice. Our multinational workforce of more than 1,400 people deliver mission-critical, innovative and secure ICT solutions within PETRONAS in 65 countries, servicing more than 49,000 employees worldwide. *The Employment Term & Conditions for jobs advertised may vary across the PETRONAS group of companies. 0 Response to "Jawatan Kosong di PETRONAS ICT Sdn Bhd - 15 February 2018"